AT GOSFORD QUARRIES OUR EXTENSIVE COLOUR RANGE AND FINISHES WILL ENTICE THE MOST ASTUTE OF INVESTORS. 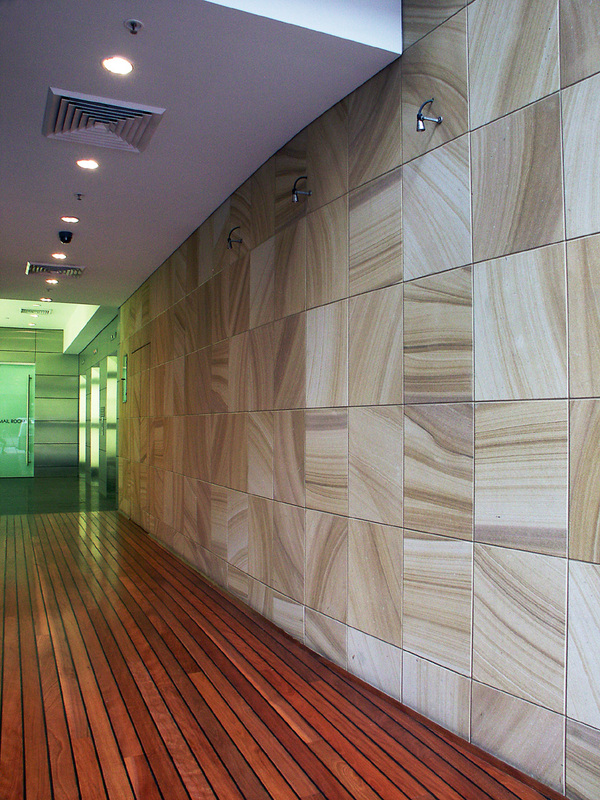 NOTHING ADDS WARMTH AND CHARACTER TO A WALL MORE THAN THE BEAUTY OF NATURAL SANDSTONE. See “Paver” page for details. 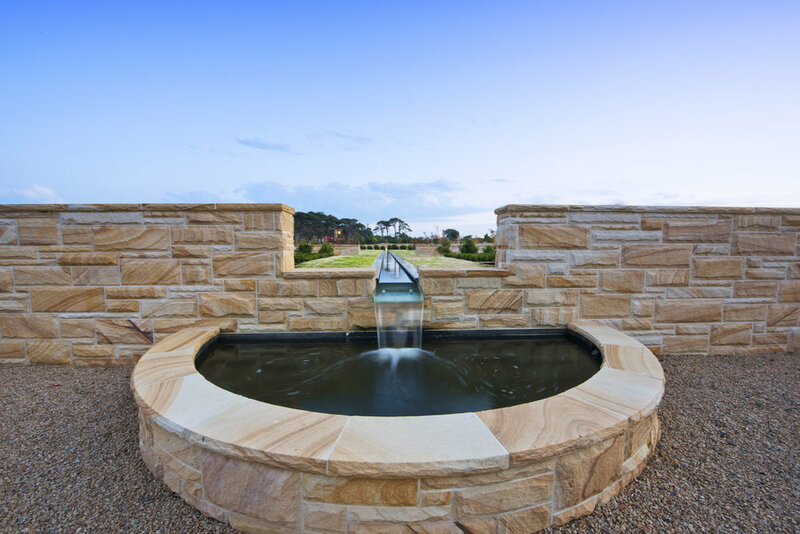 Gosford Quarries offer export quality natural stone to local buyers. 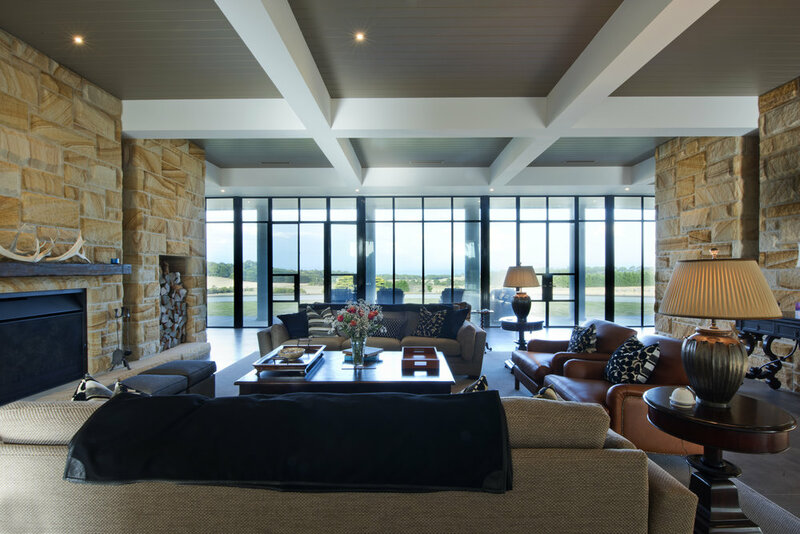 Landscapers, architects and builders are all aware of the properties of this natural material that make it one of the most sought after stones in Australia. 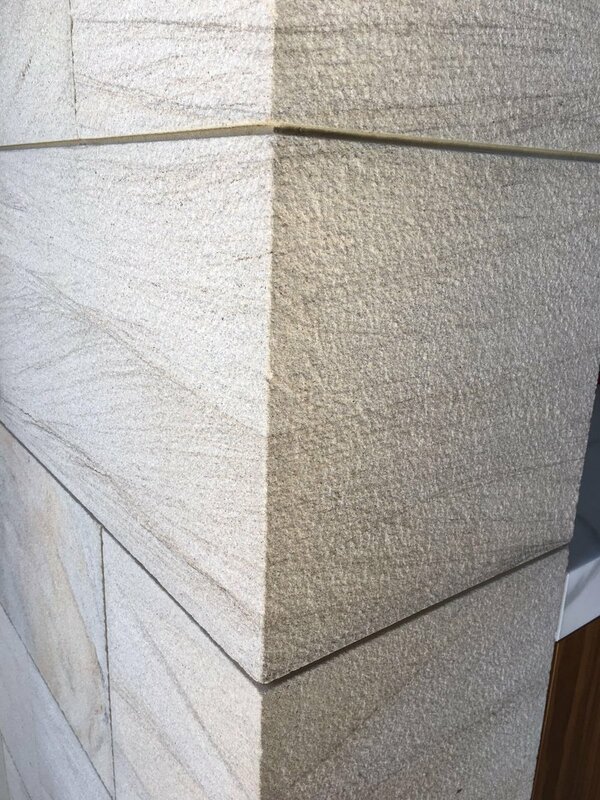 Sandstone wall cladding is an ideal way to add value to your existing property or even to simply add a point of difference. GQ offers the highest quality Australian stone across the country, and our processing techniques ensure the stone integrity remains intact. 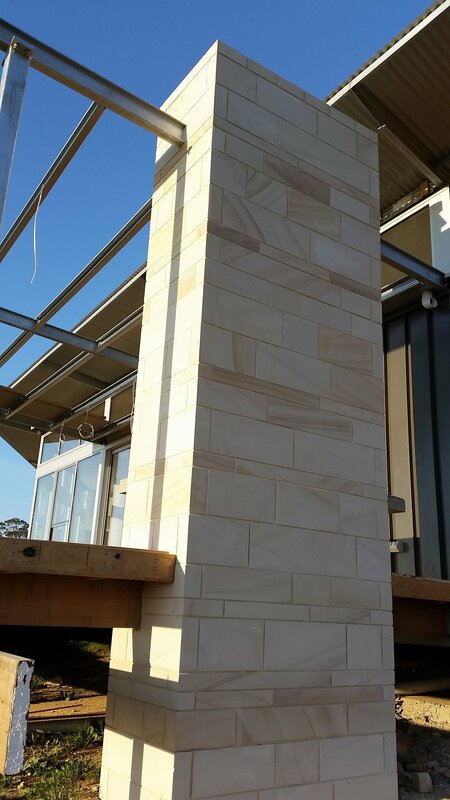 Whether you are in the market for sandstone cladding in Sydney or looking for cladding in Brisbane, GQ has showrooms across Australia. Each of these finishes offer a unique texture and overall look to the wall cladding. The diamond sawn option provides a smooth finish that is ideal for internal or external applications. For something with texture there are a variety of choices that range from the gang sawn rough texture to the protruding rock face or split style. GQ has over 100 years of experience in the stonemasonry sector. 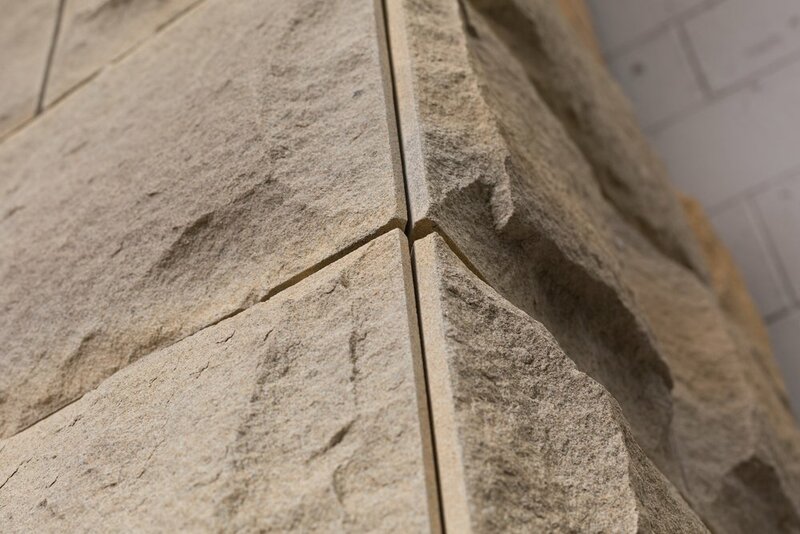 Providing the highest quality sandstone wall cladding for this long has resulted in an unbeatable team of expert advisors. We have in-house architects who can assist you with any planning and design ideas and questions you may have. Selecting the right finish, colour and particular cut can be tough when you are faced with as many options as GQ offer. 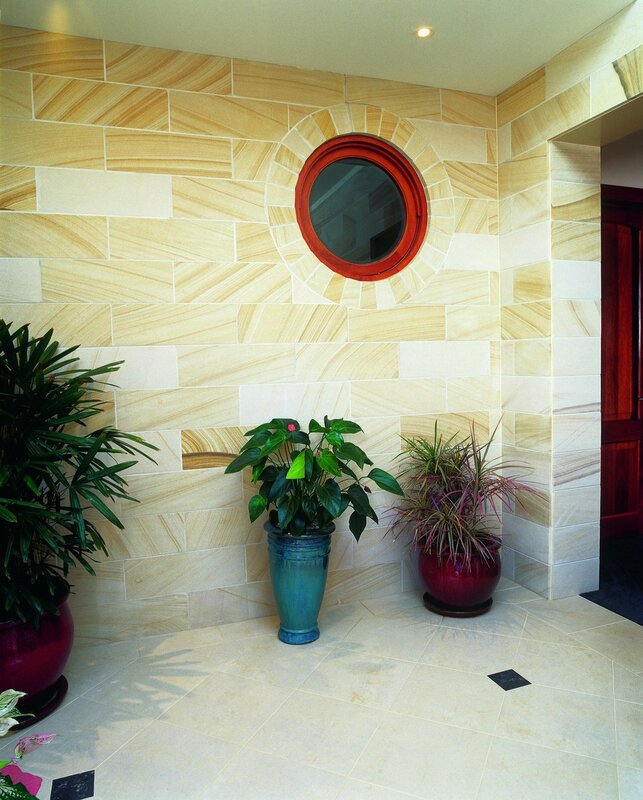 Speak to one of our natural stone experts in Sydney, Brisbane or Melbourne to receive the right advice for your project. 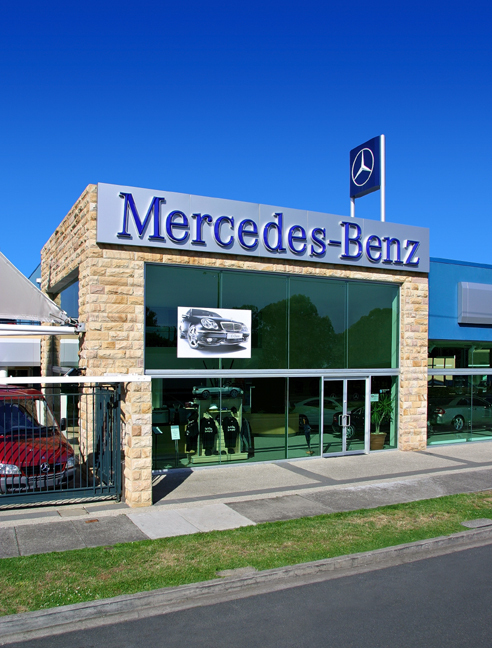 We have several showrooms and sales yards located across Sydney, Melbourne and Brisbane. Whether you are a commercial landscaper, professional architect or just looking to complete some DIY work at home, GQ has the sandstone solutions. As the leading suppliers across the country, we offer a supreme level of service that is unmatched by the competition. 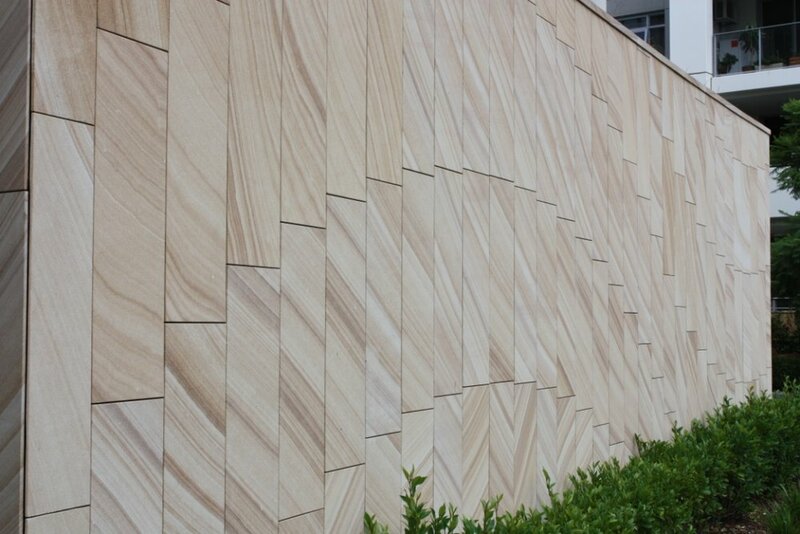 Experience excellent service and the greatest sandstone cladding products available, through Gosford Quarries.